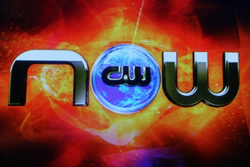 A few days after announcing that CW Now was going on hiatus, the CW network has officially pulled the plug on the entertainment newsmagazine. The youth-oriented show relied heavily on product placement but just never caught on with its targeted youth viewers. The show’s ratings have been dismal at best but has likely remained on the air because of sponsor agreements. The final two episodes are scheduled to air on the next two Sunday nights, finishing up February 24th.Stay tuned! CW Renews Six Shows for 2008-2009, What About the Rest?